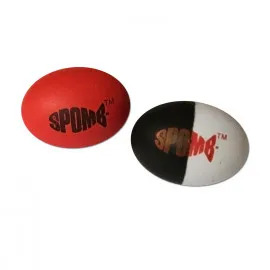 Established in 2008, Spomb is sole producer and manufacturer of the innovative ‘Spomb’ bait dispenser. The company has a mission to invent new products for fishing with the minimum impact on the environment. It does this by listening to its customers and continuing to consider further improvements in order to provide high quality durable products that are affordable and their use will allow an improved environment for healthier and bigger fish. In short, Spomb’s ethos is to assist anglers to improve their fishing experience and their personal best catches! Founders Brian and Judith Houghton, affectionately known as Mr and Mrs Spomb in the business, have been avid anglers since the 1970s. Members of the growing carp fishing scene, Brian and Judith saw decades of innovation. New and better poles, rods, reels were being released season on season. What never changed, though, were the methods used to distribute bait to a swim. As carp fishing exploded, Bryan realised that there had to be a better way to distribute bait in order to get the edge on the bank. The couple used their shared knowledge of fishing and Bryan’s background in electrical and mechanical engineering to invent an innovative and revolutionary bait dispensing system. The Spomb rocket was born and the angling world was changed forever. The pair took their design to a number of manufacturers but were turned away each time. As anglers, Bryan and Judith were confident in their concept but they realised it would take some convincing for the rest of the angling world to realise the full potential of their product In 2010 Bryan and Judith decided it was time to show their product to the wider angling community and took Spomb to The Big Fishing Show. Over two days they sold 78 products and within the week they had received countless emails from thrilled customers telling them how the rocket had revolutionised their time on the bank. Bryan and Judith were ecstatic – not only had their product worked but it had been received overwhelmingly successfully by the people who really mattered – the anglers on the bank. With the ball back in their court Bryan and Judith started to think about mass manufacture. There has been a trend in recent years to move manufacture to the Far East. However, with the UK economy still recovering from the 2008 financial crisis Bryan and Judith knew that, morally, it would not be right to manufacture outside of the UK. The pair worked hard to source all their materials as locally as possible. Manufacturing in the UK also allows the pair to keep a close eye on the moulds, the tooling, and manufacturing of their product. It has also ensured that local people are employed and seasonal contractors carefully make Spomb products by hand. This ensures stringent quality control checks at various levels of manufacture before the finished goods are dispatched to the shops. With a commitment to the environment as well as the local economy Bryan and Judith made the decision to use recyclable cardboard rather than plastic in their packaging. Over the years the Spomb range has grown and the product is now available in black and white in mini, midi, and large sizes – giving angler maximum versatility in their angling. The Spomb rocket uses any bait, with no need to mix, no bait spill and great aerodynamics so you can put bait to consistent distances wherever you wish to fish. It opens on impact on the surface of the water and can be instantly retrieved with minimum drag as it aquaplanes across the surface ready to be refilled. You’ll never need to spod again!